I don’t like to have the same Christmas decorations year in and year out. I like to change things up each year. I also like my holiday decor to have some sort of unifying theme, and I make my own decorations. Purple and Pearls, which was purple balls with DIY glitter patterns, and clusters of pearls gathered with purple ribbons. 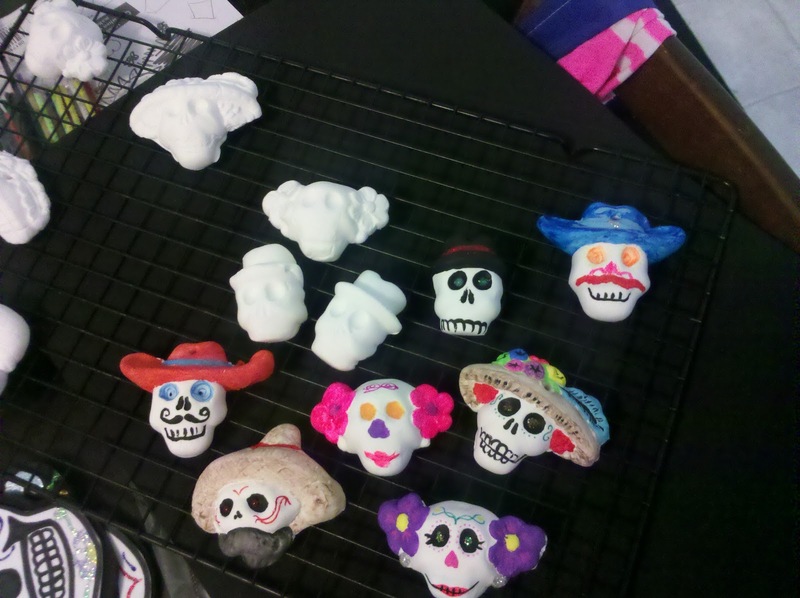 This year, the kids and I decided on a Dia de los Muertos theme. We happened upon this decision quite by accident. Earlier this year, I took the kids to the Smithsonian National Museum of the American Indian. They had a fantastic exhibit on Dia de los Muertos, which the kids really enjoyed. 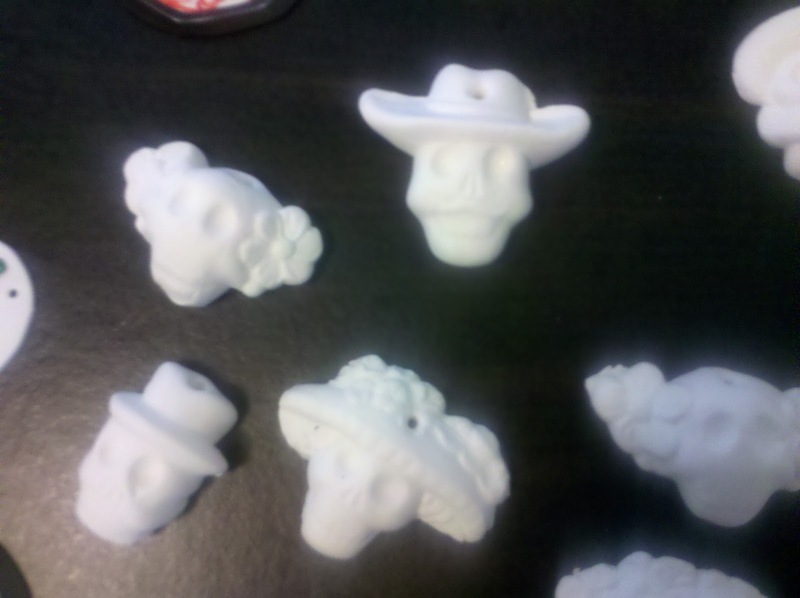 When we went through the museum store, we bought molds to make our own sugar skulls. 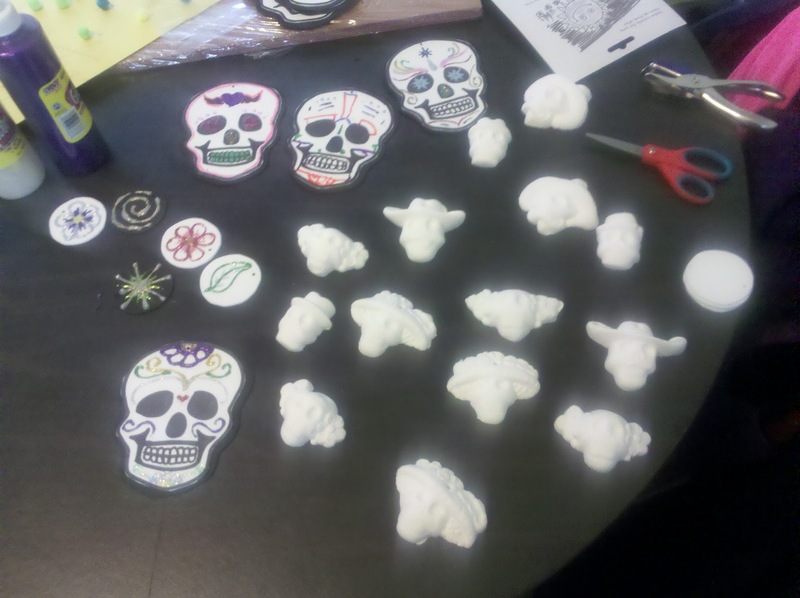 I fully intended on making the skulls for the actual Day of the Dead, but as you can see by my prior posts, my schedule got away from me. Once the skulls are dry, you can begin decorating with paint, glitter glue or any other accessories. 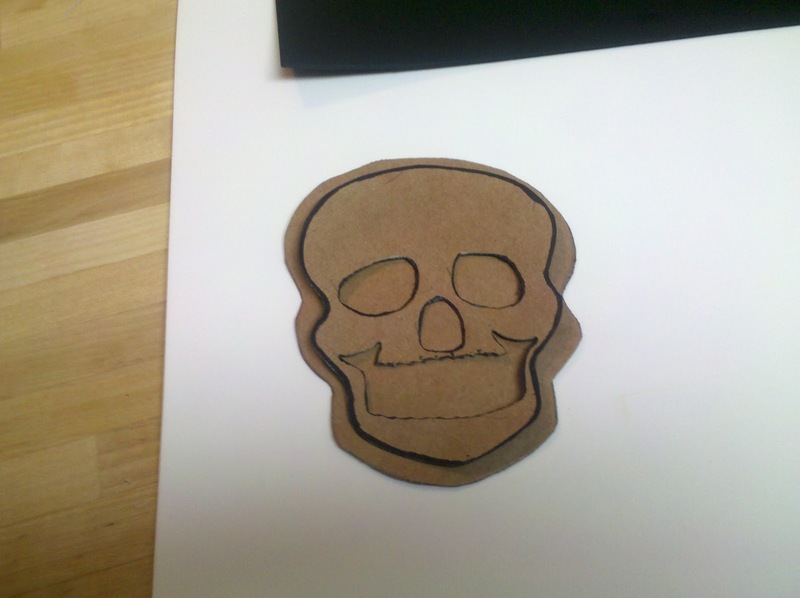 We also made larger flat skulls. First, find a good skull that you like and make a stencil of it on heavy paper (you can do a Google image search and print your favorite skull). 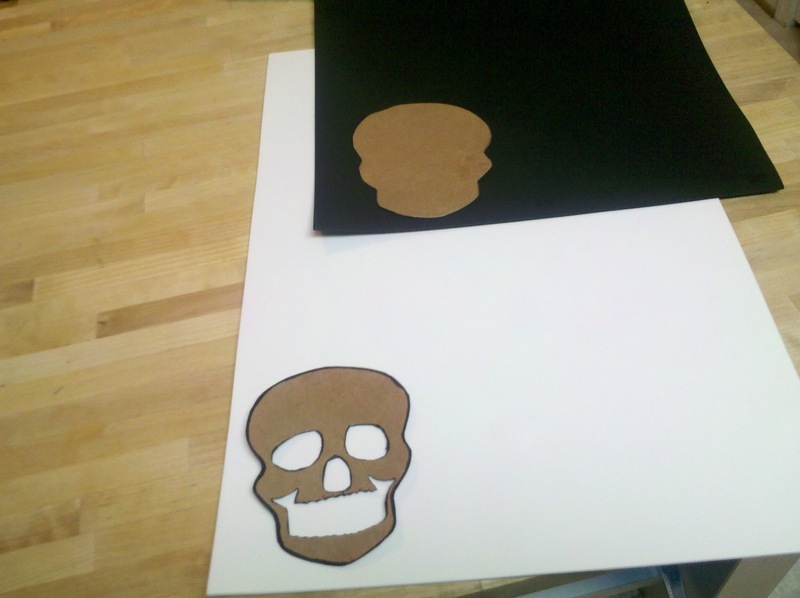 Trace the stencil on to the heavy paper again, and measure points around the skull about 1/4 inch around the image then cut it out. This larger skull stencil will be your background piece. 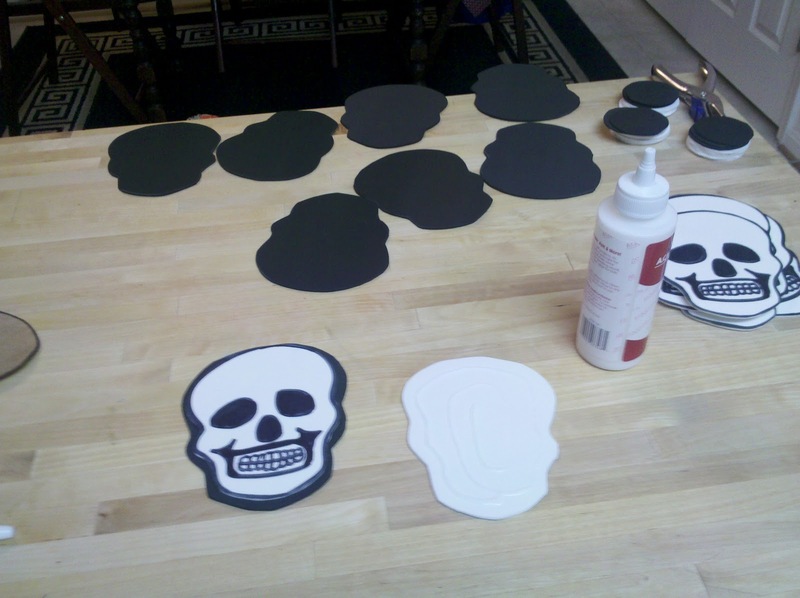 Trace the larger stencil on the black foam and count how many fit, then make the same amount of the detailed skull on the white foam. 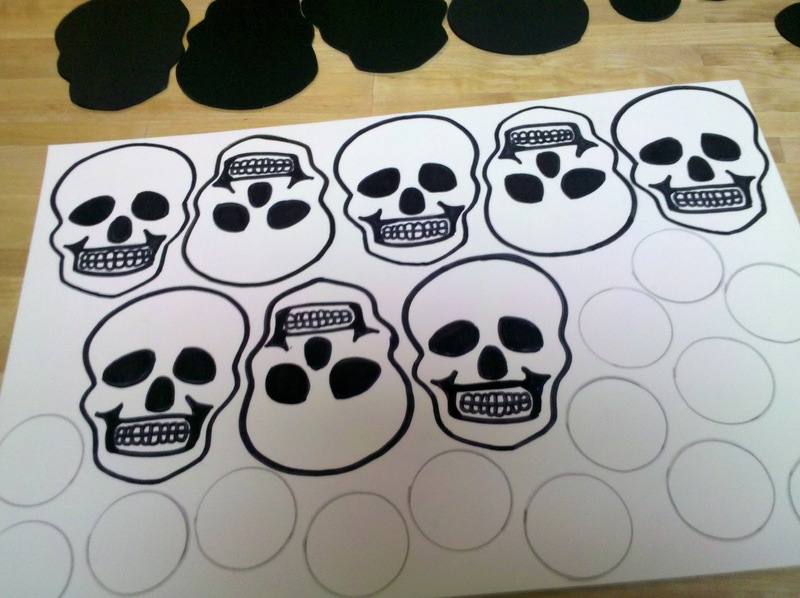 Use a black sharpie to trace the skulls on the white foam and fill in the facial details. Do not let your hand smudge the marker on the foam. You will need to let this dry for an hour or two as marker stays wet on foam for quite some time, even sharpie. Rather than waste the extra foam, I traced circles on the additional foam for little accent ornaments. Once all the skulls have been cut out of the foam, glue the white skulls to the black backing with craft glue and let dry over night. When the glue has dried, punch a hole in the top of the skull with a hole punch. Then have fun decorating with paint, marker, glitter glue, etc. When all of the skulls (both kind) have dried, clip some pipe cleaners and thread them through the holes to make loops for hanging the ornaments. Then hang on your tree (or anywhere). We were included fake flowers on our tree (we will be making some tissue paper flowers soon to add to the tree) and a hand made Victorian bow on the top. The kids found a random fake dove in our ornament boxes and decided it should be on the top of the tree as well. I figured it was oddly fitting, so why not. Repost from Punky Moms member Persephone’s blog The Night’s Plutonian Shore: Christmas de los Muertos.